The biggest challenge in masonry structures is the bridging over openings and the building of vaults and domes. This is done by using centering, e.g. scaffolding in the shape of the desired structure to support it during construction and setting. The idea is that all parts in an arch or a vault press each other into position and that whatever thrust there is sideways it should be reacted by the supporting walls or columns. 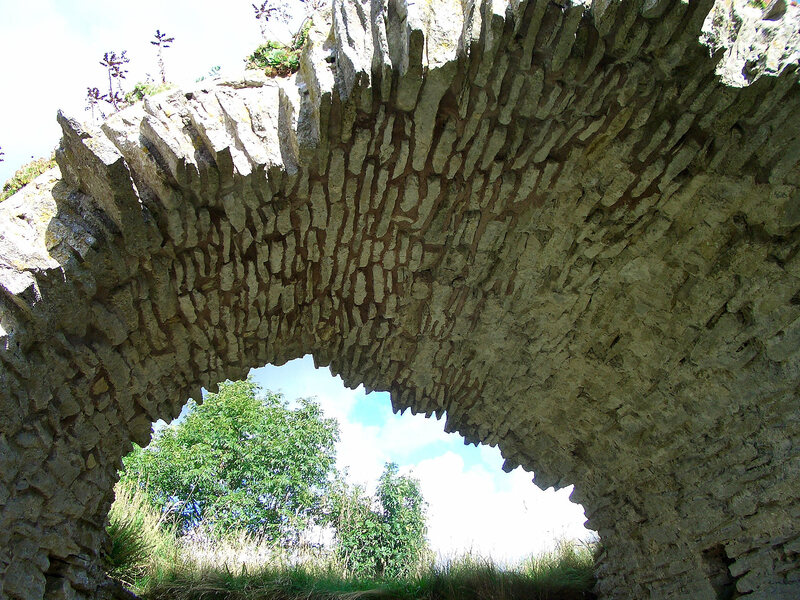 The Romans imported the idea of masonry arches from the Far East and Egypt, where the technique was used ever since 3000 BC, and completed it by stabilizing their arches with the concrete like mortar that was made with pozzolana. Monumental Western architecture has been characterized by the use of arched shapes ever since the Roman times. Romanesque arches are semicircular and Gothic arches are pointed. The shapes have been repeated over and over again through the centuries while masonry was the prime structural material. Today’s monuments are built of different materials, concrete and steel, which allow for large straight spans and an angular architecture. An ancient lime stone vault in Gotland. Ruins show how buildings were made in the past and provide us with valuable knowledge of the sustainability of their materials and construction technique.